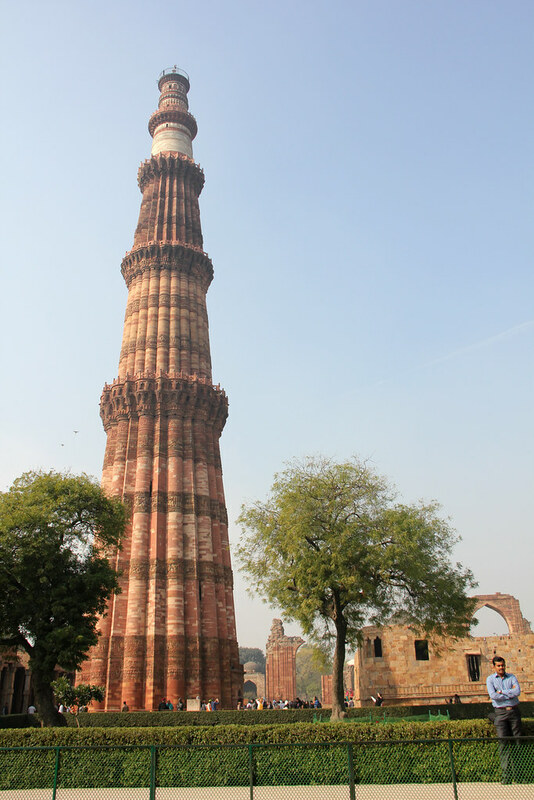 While in Delhi, I had the opportunity to visit Qutub Minar, one of the most important historical icons of the city. 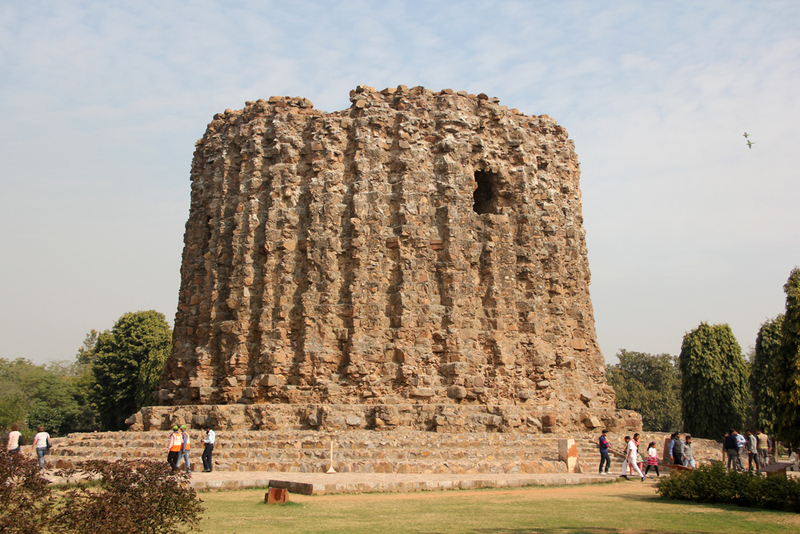 The attraction is one of the main UNESCO World Heritage sites in Delhi. After paying the 250 Rupees entrance fee, I began to browse the many ruins and structures positioned within the complex. Located next to the minaret is Quwwat-ul Mosque, one of the original Delhi mosques built by a Mughal ruler. But it's the jaw dropping sight of the 72.5 meter tall minaret, which served as a watch tower, that made visiting Qutub Minar one of the top things to do in Delhi. It's mainly constructed of red sandstone, with sections dating back nearly 1,000 years ago. Again, just like many of the historical attractions in India, like the Agra Fort, the fine details were extremely impressive. Carved into the minaret were countless writings and depictions. Giant flocks of birds dwelling within the ruins and flying back and forth from perch to perch added to the already amazing ambiance. 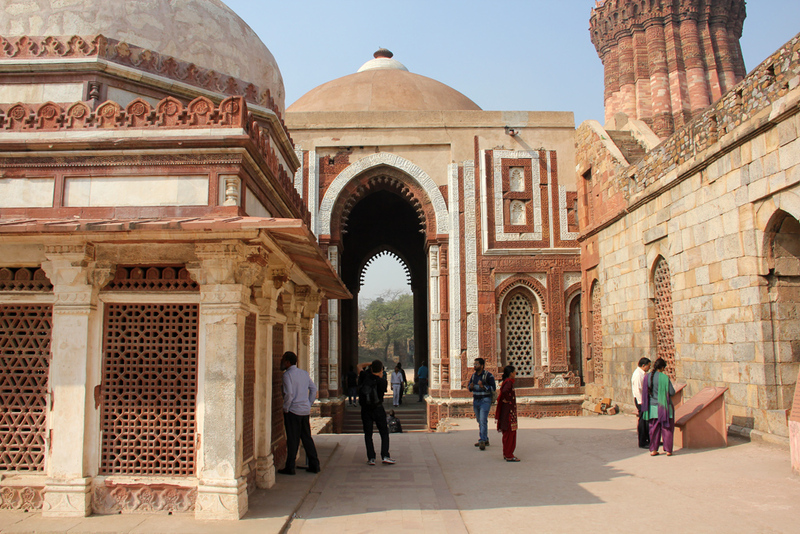 There are also a number of Mughal tombs at Qutub Minar, one of them being a favorite place for photos. 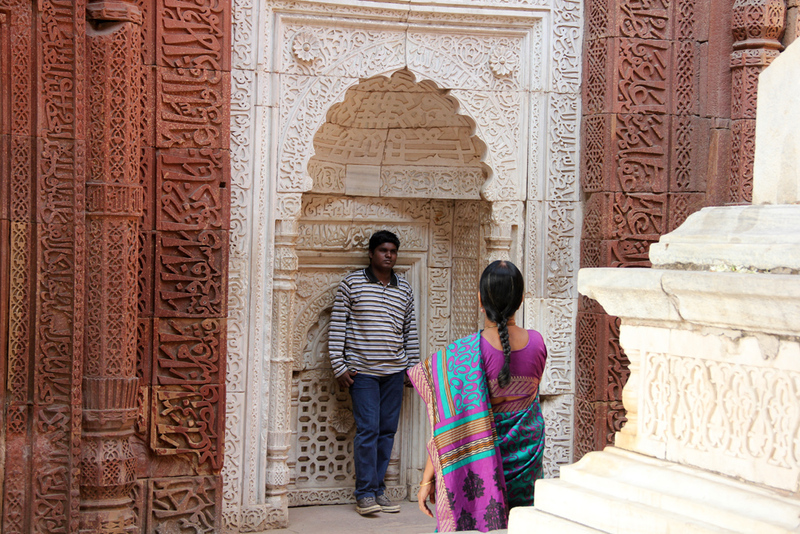 The marble and red sandstone carvings were intricately carved and some were well preserved. While Qutub Minar is a popular foreign tourist attraction, it also attracts many local Indians as well, including lots of students who always love to be photographed! Just a few hundred meters from the main minaret is the base of another minaret that was started and never completed. This minaret was intended to be even taller and grander than the original, but unfortunately it never happened. 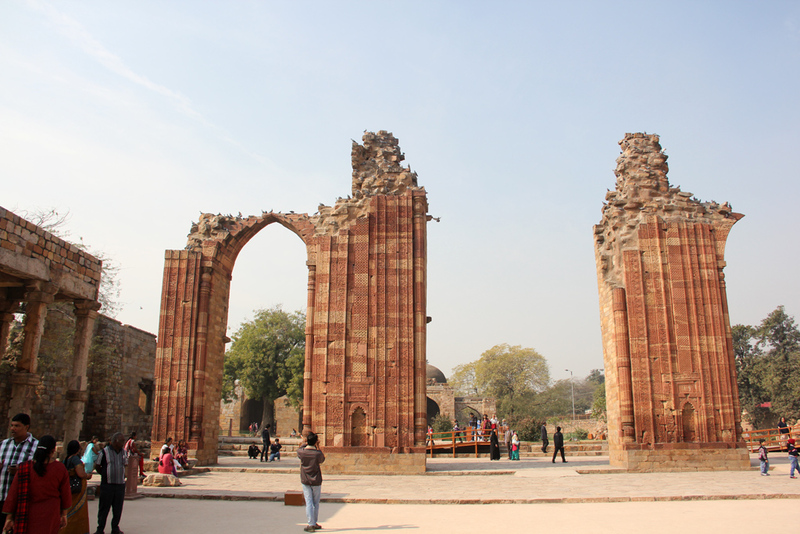 Located in South Delhi, Qutub Minar is one attraction you don't want to miss when you're in Delhi. 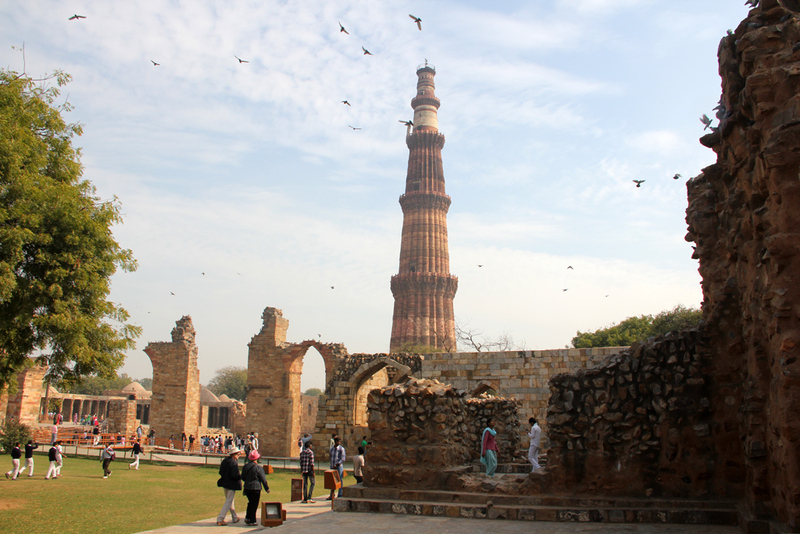 Hey Mark, Great photos of Qutub Minar, I have been there twice when I was in Delhi. It was good to know more about this minaret and click some photos. That must have been beautiful to see. Everytime I read or hear someone say Rupees I always think of gems being used as currency lol. 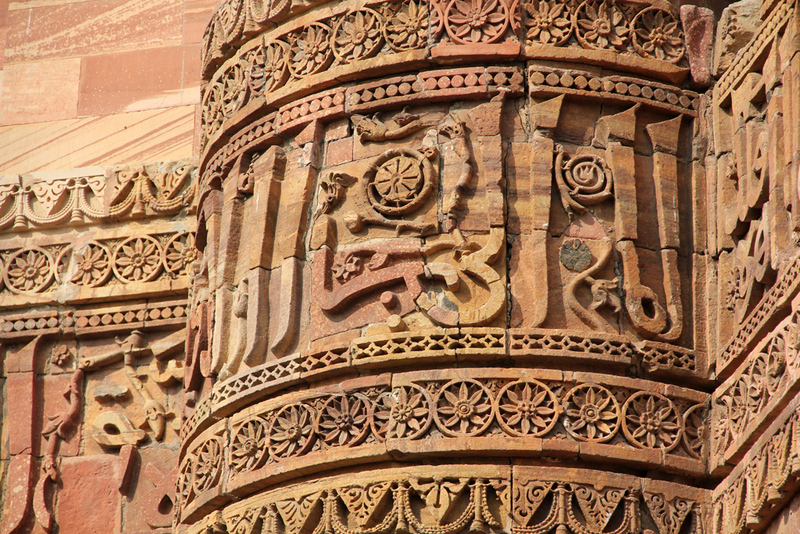 Qutab MInar is jst Awesome……. 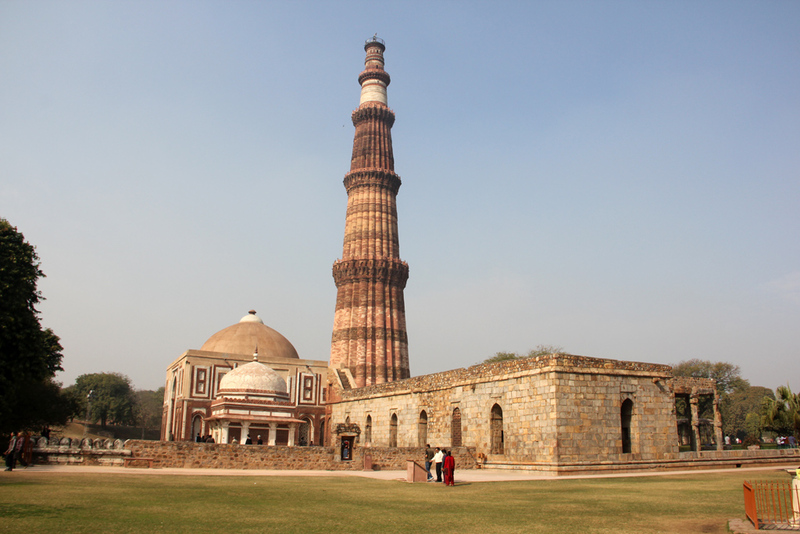 Do you know the new minar that was uncompleted would have much longer than the Qutumb minar..